100% Bonus up to $200 free. Deposit Methods: NETELLER, Skrill, Diners, Ukash, Bank Wire Transfer, Check. Currencies accepted: Argentine Peso, Australian Dollar, Canadian Dollar, Danish Kroner, Euro, Hong Kong Dollar, Japanese Yen, Pound Sterling, Singapore Dollar, South African Rand, Swedish Kronor, Swiss Franc, United States Dollar. Sports Interaction, the first online sportsbook licensed and regulated in North America, has been the number one choice in the online gaming market for more than ten years. 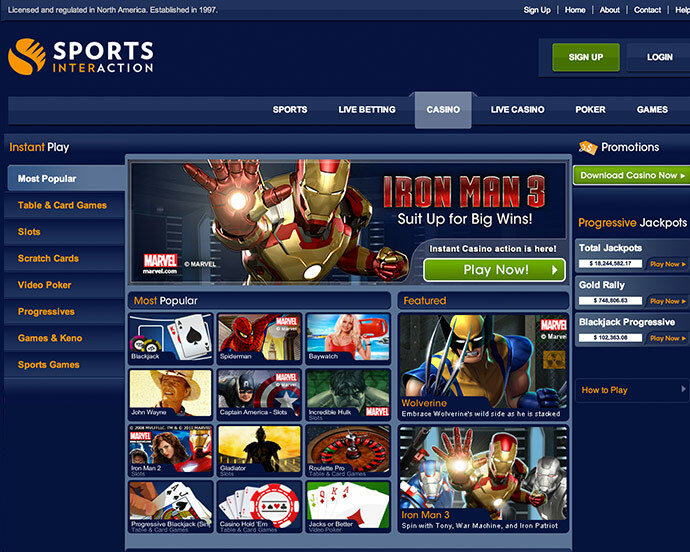 Sports Interaction Poker is the first and only choice for so many members because: all your favorite games are here, fast and secure depositing options offered, useful how-to guides to get you started, exciting promotions and monthly offers, 24/7 Customer Service is an integral part of the Sports Interaction experience.